In recognition of his pioneering work on solar system dust research, LASP scientist Eberhard Grün, has been awarded the 2011 Royal Astronomical Society (RAS) Gold Medal for Geophysics. Grün has been at LASP since 2007, where he supports the development of new instrumentation and mission concepts. 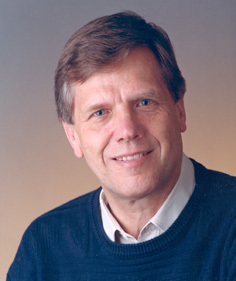 Grün has been Principal Investigator for many dust experiments, including Helios 1, Helios 2, Galileo, Ulysses and Cassini. The size distribution of interplanetary dust at the distance of the Earth from the sun (1AU), described in his 1985 paper, is still referred to as the “Grün distribution.” The RAS prizes will be awarded at the 2011 National Astronomy Meeting in Llandudno, Wales, in April.